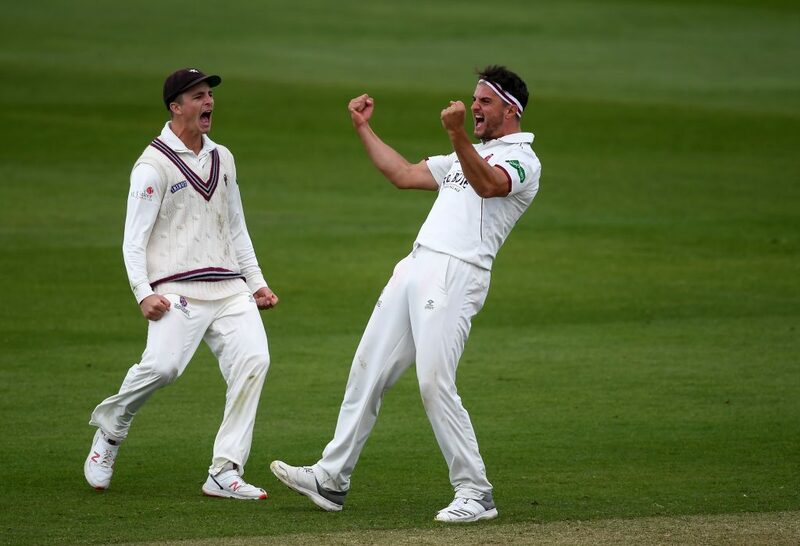 Lewis Gregory continued his fine start to the season with a six-wicket haul to help Somerset to maximum bowling points on the opening day of this Specsavers County Championship match against Nottinghamshire at Trent Bridge. Gregory claimed figures of six for 68 as Notts were bowled out for 263 in 66.4 overs. 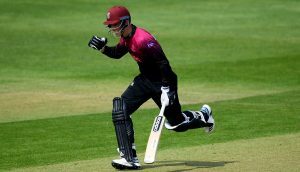 Chris Nash made 58 from 72 balls, with 10 fours, and Luke Wood, recalled from a short loan spell with Northants, was last out for 52. Somerset backed up their decision to bowl first with the scalp of Ben Duckett in just the second over of the day. Having scored over 400 First Class runs already this season, Duckett fell lbw to Jack Brooks without a run on the board. Ben Slater and Nash fought back with a stand of 51 but then the visitors struck twice in quick succession. Josh Davey replaced Brooks in the attack and had immediate success, clipping the outside edge of Slater’s bat for 24. Wicketkeeper Steve Davies barely had to move to take that catch but then had to dive a long way to his right to complete the dismissal of Joe Clarke for two, giving Gregory his first victim. Steven Mullaney reached 26 before Gregory rattled him on the pads for the second leg before decision of the morning. 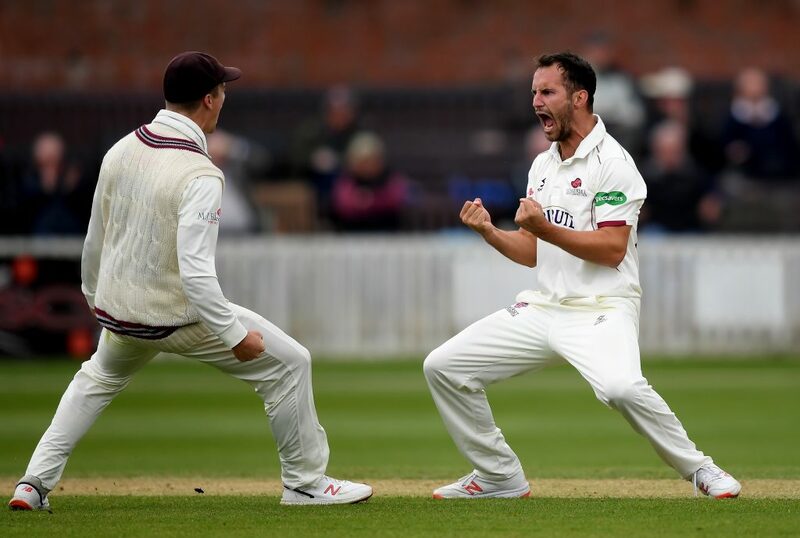 The 26-year old bowler then claimed his third wicket of the match as Nash picked out Jack Leach in the deep for 58. 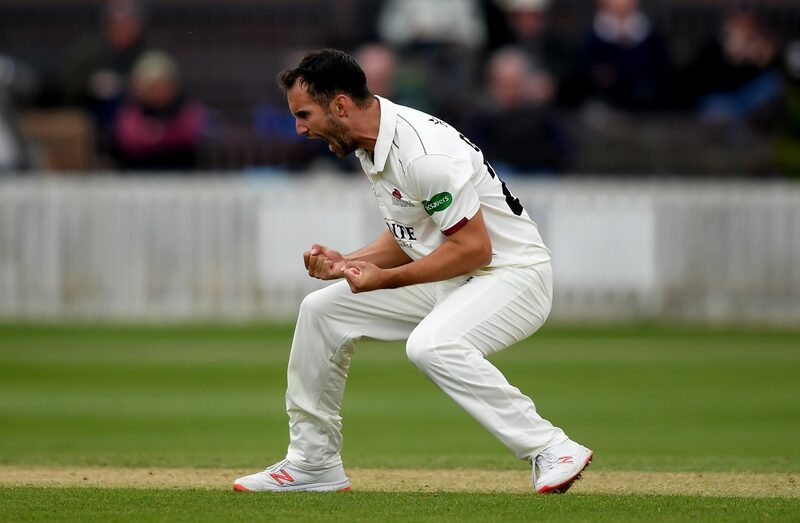 During the afternoon session Samit Patel and Tom Moores steered Notts towards calmer waters, taking the side from 119 for five to 177 for six, the point at which Gregory struck again, sending two of Patel’s stumps spiraling spectacularly out of the ground in different directions. Gregory polished off the innings by bowling Luke Fletcher to pick up the 11th five-wicket haul of his career, then added another with the dismissal of Wood. The left-hander had reached his half century from 63 balls but hoisted his next delivery high to Tom Abell in the covers. In reply, Azhar Ali made 10 before umpire Steve O’Shaughnessy sent him on his way lbw. Trescothick resisted for almost an hour but couldn’t see off Broad, who found his outside edge from around the wicket. Broad’s opening nine over burst ended with figures of two for 12. James Hildreth missed out on the opportunity of repeating last season’s hundred here by tickling Fletcher down the leg-side. At the close of play Lewis Gregory said: “Obviously any day where you succeed and take some wickets or score some runs is a good day to be a cricketer, so this is a pretty special day and hopefully we can try and capitalise. “I’m on a bit of a roll at the moment, but I’m sure that in the not-to-distant future there’ll be a couple of ‘none-for 100s’ which will swing it the other way. It’s been a nice couple of weeks and hopefully it can continue. “There was a little bit of nibble out there, but it probably didn’t swing as much as it did at Taunton last week. The pitch was probably a fraction on the slower side, so if you missed your area – either full or short – it made it easier to score.